Wanted to share the progress that I have made on my Christmas tree skirt. 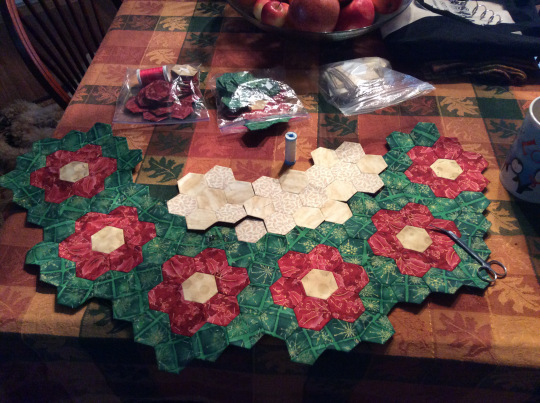 So far I have invested about 40 hours in the English paper piecing project and completed half of the poinsettia band of the skirt. If I can invest another 80 or 90 hours the skirts should be ready for this holiday season.